Odiéis Perhaps many, like me, when you send a message from someone you do not know, for example advertising. Well, since the last version of iOS you can "mute" the notifications of messages we get from a sender not saved in contacts. 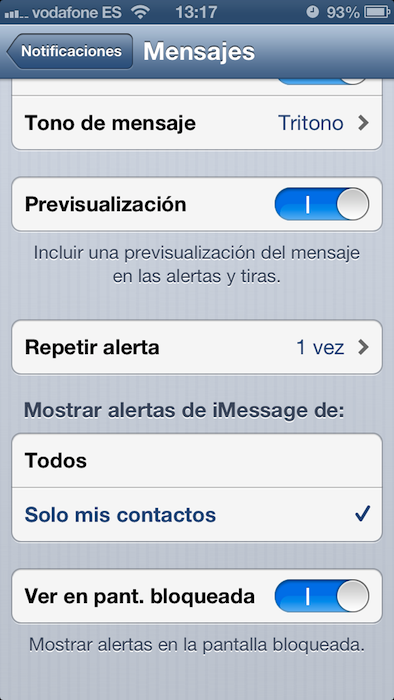 That way, we will receive the message, but will not sound the I sight, seeing only the stunt in the messages icon. To do this, you only have to go to Settings / Notifications / Messages / and under "Show alerts iMessage to" mark "my contacts only".